So, June was a quiet month for me at the cinema, with a holiday and the world cup taking up much of my time. I didn’t get round to seeing a lot of the major releases such as ‘Belle’ and ‘Chef’ (although this should change shortly), but I did manage to see some good films throughout. A film based on a young adult novel about cancer isn’t the type of film that would immediately excite me, but a couple of missteps aside, this excellent adaptation of John Green’s novel is funny, well acted and poignant, and it’s my third favourite film of the month. The comedy sequel to 21 Jump Street, a surprise success a couple of years back, is one of the funniest sequels in a while, embracing the meta and inherent cash in of the sequel to hilarious effect. 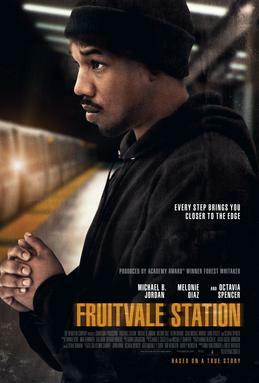 Fruitvale Station is a moving account of the final day of Oscar Grant III. From first time director Ryan Coogler and star Michael B. Jordan, they deliver a powerful depiction of a fateful night that had reverberations across all of America. The best film I saw this month.